5th March 2017 – Tom Lancashire (GBR) and Steph Twell (GBR) both gave strong performances at the European Indoor Championships to finish their indoor campaigns and show they are nicely placed for successful summers. Both safely navigated their way through the first days heats, Tom in the 1500m and Steph in the 3000m. Ultimately both finished fifth in their respective finals and although they admitted afterwards that a medal would have been welcome, they know they can build on this before the home World Championships in London later this year. 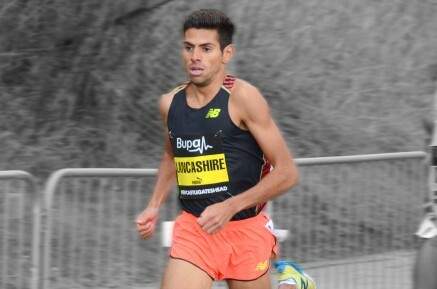 Another athlete who will be looking to compete at the World Championships is Chris Thompson (GBR) and he showed that his preparations for the trial race at the London Marathon are going well with a comfortable victory at the Trafford 10k. In cold, wet and windy conditions Chris won by over thirty seconds in a time of 28:55.